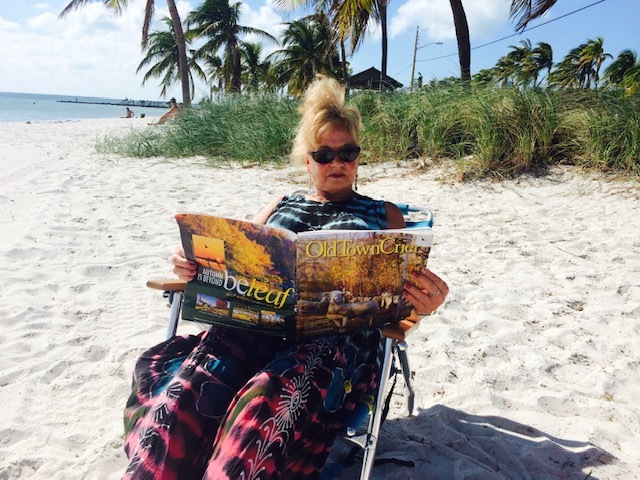 Our dear friend of many years, Charlene Lankford decided it was time to take a copy of the OTC with her on her yearly trip to Key West for the Off Shore Powerboat races. She has been making the trek for about 12 years. Joining her are numerous friends and family from southern Maryland who make up a huge group from “The Maryland Powerboat” constituency. She tells us that it’s a fun week – 3 days of races, a scooter poker run, a boat parade on Duvall Street and a few free days to just relax.